Please, we need your feedback! Do you find this game interesting? Do you have any comments / suggestions? At this moment, I am working on this game by myself, and motivation is hard to come by. Any type of shout-out will or even if one person anticipates or like the idea of this game would be great and highly appreciated. Please, leave a comment, or tweet at us on twitter @_isolatedPixel , no, we do not have a “bot” on twitter, it’s just me, the programmer and only developer at this moment of this game until I achieve a certain point where the game is good to go and just needs more assets. Right now, it’s just one person, me! I’m the programmer, and right now “artist” too, even though my art skill are horrible… but I did manage to draw this character!… yea, it could be better, anyways, everything in this update is made by me, and myself only. 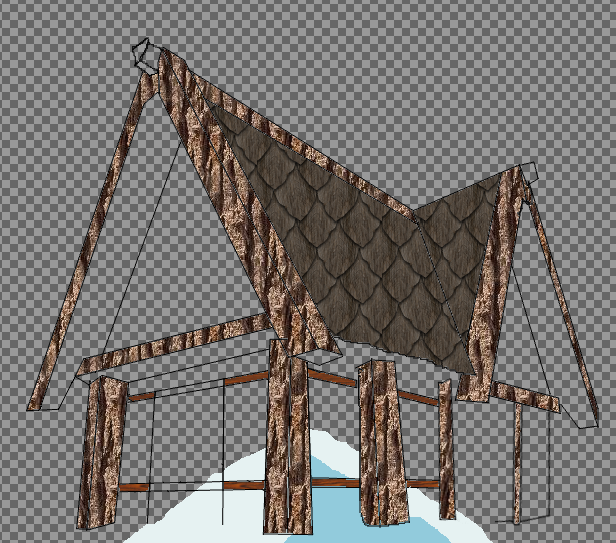 My friends who were working on this with me are busy with College work at this moment, so yea, I’m on this solo mode. My hope is for the game to get enough popularity that I could start paying other people to help me out and make this game real! I program this using LWJGL and Java, I have about 5+years of experience with java, and about 3 of them were messing around with code and making random games, however, they all ended up in the drawer, but not this one! I’m going all out with this project! so bear with me! Changed sprites! we have different sprites now; no, they are NOT perfect, I drew them by myself, and I am nothing close to an artist, I’m just a programmer with a bamboo tablet… and apparently too much time at my hands… haha the following screenshot is directly from the game. The character in this GIF is holding a basic weapon, and no clothes… but wait! I also added an “armor” capability, which means that you character can now wear clothes! Now as you can see, the clothes you wear actually change your stats, along with you appearance! the stats are another big update! if you upgrade your STR (Strength) you will do more damage with physical objects and be able to carry heavier equipment like armor or weapons. This will also increase your Health pool! If you upgrade your AGL (Agility) you will do more damage with precision base weapons like throw-able shuriken or other long rage abilities, it will also make your base speed faster and ability to jump higher. If you upgrade your INTL (Intellect / Intelligence) you’ll do more damage with magical attacks, and will depend on them. it will also increase your Mana pool! These stats will have more impact in the game later on, at this moment this is all we added to each individual stat. If you noticed, there is also a “Crit Chance” which will tell you what are your odds of hitting a critical hit, and “critical DMG” which will say how much bonus damage it will do in addition to it’s base damage. Your equipment now carries stats along with it! Each piece of clothing, or weapon, can carry stats to boost your base stats (will be indicated as “(+x)”, where x is the amount total from your armor/weapons.) in the following GIF you can see how my bonus stats change when I switch from the “M(agic)” marked weapon to the “P(hysical)” marked weapon. There are 3 different types of projectiles at this moment, physical “projectile” which is a slashing sprite, Magical projectile which is a light blue ball of magic, and a ninja star projectile for ranged weapon. this is relatively slower than the other projectiles, because we wanted it to feel “calmer” than the faster throwing “ninja” style of ranged weaponry. of course, there will be more types of magical attacks later on. this is a simple slash img, the color will change depending on different variables in the future. this is a fast paced weapon, throwing some throwing stars like a ninja! The different weapon types are not balanced at this moment, but they each take their damage from different stats. we will add more weapon types and skills in the near future. for now this is just testing. That’s it for this update, this is not all of what we worked on, but these articles take a heck of a lot of time to make, and this is without adding an edited version of gameplay… which will be included in the next article covering more of what had changed! Again, please, comment, follow our project if you like where it’s going, we are going to scratch the name and think of a new one, we are working on a lot of modding tools for the modding community to be able to make your OWN adventures in this game with ease. This entry was posted in Art, Computer Game Project, Concept, Project DG and tagged Game Dev, Indie Game, indie game dev, Single Developer, skills, stats on October 1, 2015 by Baruch Adi. This update is all about the art of the game, and where it is headed to. 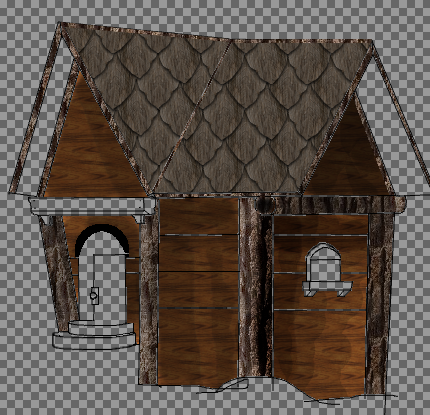 The title says it all, two houses are on their way into Vigilante: Rebellion’s world, one of which would most likely be a shop, as the other would be a living quarters (although that is to be decided with the head programmer). Note: They’re still in the making, it is a very different style of art than backgrounds and environments/platforms, so there would be a lot of updates to be made further down the road. Let us start with a quick tree sketch (that would be seen a lot in this game). I personally enjoy having trees as one of the leading environmental aspect of the game. Now, the rocks! Of course, we’re in a rocky snowy-like setting, so obviously there would be tons of rare looking rocks. As seen below, here is an example of what they would look like. And now the foundation of it all; the platforms! Basically, we’re aiming for a simple, good looking platform that wouldn’t distract the player yet deliver enjoyable visual experience. Our art for this game will continue to maintain its simplicity. Personally, I have a hard time keeping it simple with the art because I always return to my original habits of drawing realistic art rich in detail; and every time I go back, I remind myself that this game has to be simple and to look simple in order for it to succeed, or at least to satisfy our will. Even though what I’m about to say would most likely contradict the above, but perhaps in the future we would settle down for a different art style; however that is to be decided in the future, now we’re all about gathering some momentum for this game. Last but not least, make sure to check us out on our personal website! As well as twitter and facebook. This entry was posted in Uncategorized on June 4, 2015 by Baruch Adi. Well, now that we decided on the new name for the game, (still subject to change,) it opened new doors for us to expand the game by, such as an actual menu, and actual (yet temporary) logo. Play will take you into the game, in the future you will be able to choose a character to play with. Level Edit will take you to the world editor* in which you will be able to create new worlds for the game and then play in them. we are currently interviewing few candidates so it may take a few days to a week. We will update you as long as we got someone or if something changes! if you are interested in applying, you still can! just email games @ isolatedpixel . com (erase spaces, for spamming reasons.) If you do email us, please include a portfolio of your past work, does not need to be commercial work, can be something you did as a hobby, and please try to include work that you think fits the style of the game. Thanks to all of the participants! WE HIT PLACE 20 ON INDIE DB! well, not much to say except.. THANK YOU GUYS YOU ARE AWESOME! 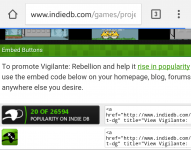 This entry was posted in Development Log, Project DG, Uncategorized and tagged andengine, gamedev, indie game dev, main menu, Vigilante Rebellion on May 18, 2015 by Baruch Adi. Graphics updates – Launching a patreon! not only will you get access to amazing updates, alphas, and even the ability to influence gameplay… you will support us! we are running on empty as we speak and we all don’t have any choice but to do this. yes, we want to wait until the game is ready, but how can a game be ready without graphics? trust me, we are going to provide you guys with the best game we can possibly make! GUARANTEED! Well good question! you see, there are many… many rewards you can get, ranging from simple pre-alpha access to the curious of you who want to see how a game looks like before it is ready for release all the way to a way to influence the game by creating your own city in the game! *there is also now a $1 option if you want to get access just to the amazing hidden news no-one else gets access to ! or… buy higher ranked for more secrets! Well… as the title says, we will buy sweet graphics for you guys! we need a minimum of $150 per update to actually make a difference. As I found out, graphics are expensive, however they are a necessity to our game. please, again, support us so we can create this game and don’t let it fall through the cracks. 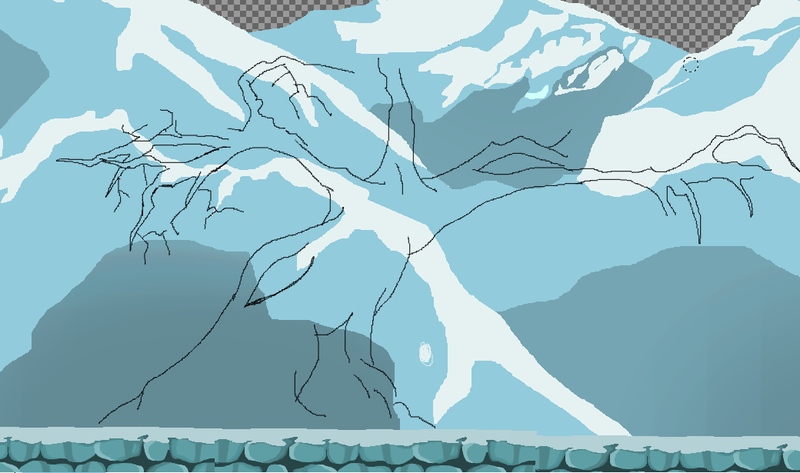 Character sprites & animation; this is a big one. with every update, we will be able to implement more character features such as races and different motions and expressions. the first update will buy us the first necessary set of animations to make it look much better than it is now. Equipment! what is a good RPG without equipment you can see on your characters? We want to support FULL character customization. help us make it real. this will buy us about 3 sets (more or less, depends on their complexity) of armor or accessories for the character. Office?!! this means we will be more productive! at this time we are posting and doing everything from our own homes and yea.. there are distractions… an office means full productivity and more options of things we can provide you guys with, such as youtube videos or just random vlogs. we ARE NOT going to blast updates and empty your wallets! let’s say we hit tier 3 (god i wish this will happen) this means, every update will HAVE to have at least all these requirements updated. this means we will have 3 new monsters, new character animation. AND new 3 sets of equipment. This is a lot of work. if we hit tier 4 it will be done more efficiently and of course if we get to a good situation we will send you guys free updates for as long as we can support ourselves. I can’t stress enough how important this project is to me. please. Help me make this a reality. Help me prove that countless hours behind these monitors were worth this. This entry was posted in Development Log, Project DG and tagged crowd Funding, Graphics, Indie Game, Money, Patreon, update on May 15, 2015 by Baruch Adi. Vigilante Rebellion – Working Inventory! Character Customization! Logger! At this moment there are no boosts applied according to the items you wear. The logger will provide you with fast information on the go, such as how much experience you have gained, how much money this monster dropped, the item id that you picked up, and more! We are now working on a new version of the world editor, few tools for us *and* for modders (item maker, monster maker, etc) and a whole lot more such as actual character stats! expect a new video next update with our working world editor and a testing run in it! This entry was posted in Development Log, Project DG and tagged 2D, Armor, Inventory, Logger, Vigilante Rebellion on May 13, 2015 by Baruch Adi. Proudly powered by WordPress Theme: BlocomoTwo.